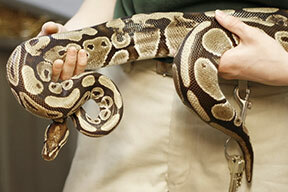 Reptile Roadshow has worked with many businesses over the years, including major high street retailers. We can provide a professional, interactive, interesting and entertaining demonstration / experience. We can tailor the experience to suit nearly any venue or corporate event you may have in mind. 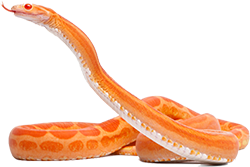 Whether its a grand opening, or a themed in-store event, Reptile Roadshow can provide a unique form of entertainment that is sure to capture the imagination and interest of any audience. For further information, please contact us via our Reptile Roadshow Enquiry Form. 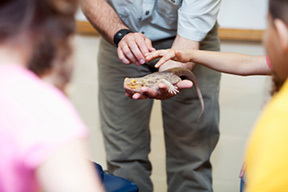 We will entertain your children and their friends in a totally unique way with our reptiles and other animals. From 6 years old to teens and adults, we have a party idea that sure to please! We can provide either live hands-on shows or static displays for Grand Openings and In-store Demonstrations as well as After School Club Events, various Corporate Events, and Youth Club Events. A day in school can be an educational fun way to learn. 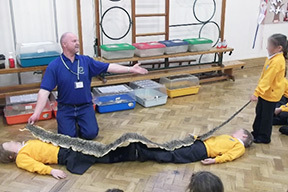 The Reptile Roadshow can tailor a show to suit the needs of the teacher, be it following a rainforest topic, science and more. Richard came with all the animals to our house for a birthday party. All 14 kids were over the moon! Richard effectively managed the overexcited crowd for the full length of the show and gave hand with piñata and tidying up. Many thanks!